✔ INSTANT COST-SAVINGS - Reduce your energy usage and save up to 55% on your electricity bill with 18W LED tube lights as 40W-50W or F48T8 fluorescent replacements. NOTE: 6000k not DLC certified. ✔ BRIGHT, HIGH OUTPUT LED - Illuminate your space with 2300+ lumens! With super bright, high output LED tubes in your garage, warehouse, or office, you will see things in a new light. 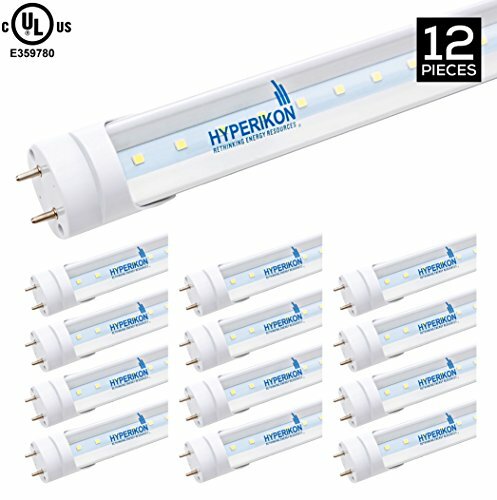 ✔ EASY LED DIRECT WIRE INSTALL - Hyperikon single-end powered tubes are compatible with T8, T10 and T12 ceiling fixtures and require a simple ballast bypass.